switchANALYSIS is a powerful software package designed for the rapid analysis and presentation of switchSENSE® data. switchBUILD software is an easy-to-use graphical planning tool to design and program experimental workflows. switchCONTROL takes the simplicity of switchBUILD scripts and converts them into advanced commands for the unattended operation of the DRX instrument. 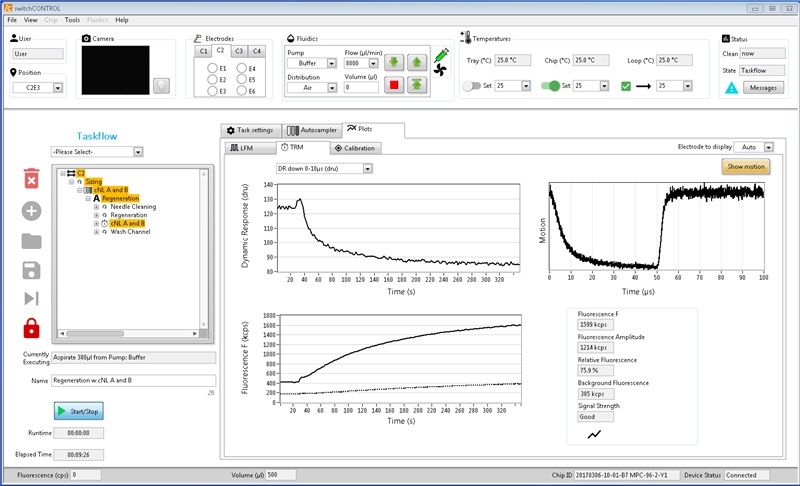 switchANALYSIS is a powerful software package designed for the rapid analysis and presentation of switchSENSE® data. From single experiments to large complex datasets, the intuitive drag‘n‘drop format enables quick and efficient data interpretion. switchANALYSIS is fueled by advanced interaction and biophysical modelling providing publication ready graphs and full numerical packages available for export. For installation a valid license key is required, please contact support@dynamic-biosensors.com for further information. Analyze kinetics from real-time association and measurements from simple 1:1 to complex interaction models and determine kinetic rate constants (kON, kOFF) and affinities/dissociation constants (KD) using individual and global fits. 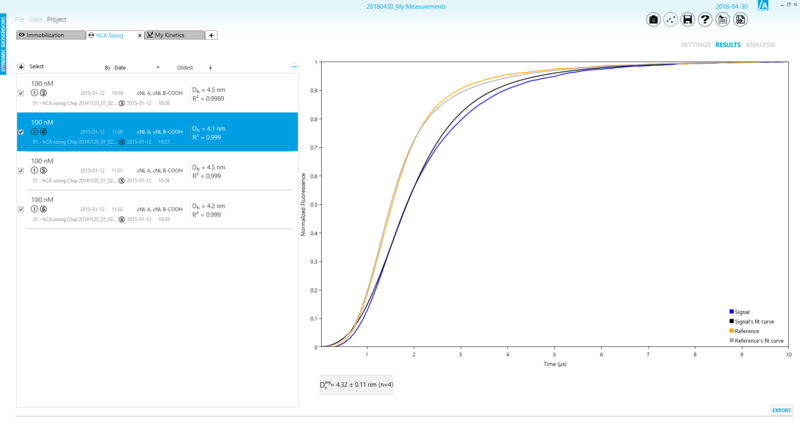 Analyze equilibrium dissociation constants or IC50 values from titration curves using straightforward dose-response models, Langmuir, and Hill-fits. Quantify avidity effects through the automated global analysis of measurements at different ligand densities. 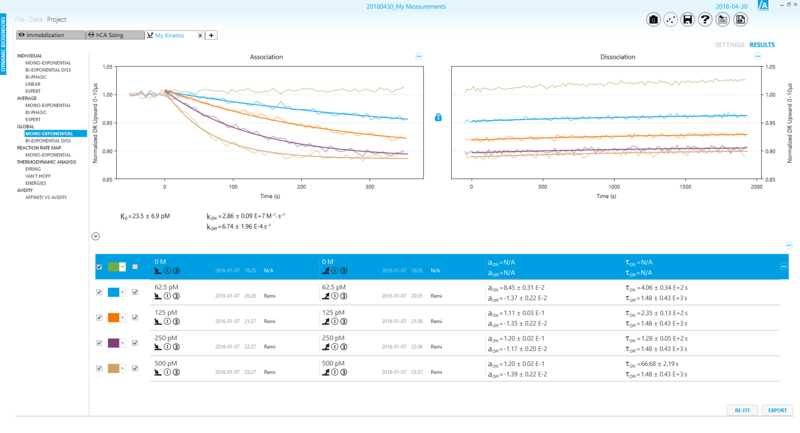 Measure and analyze protein diameters DH with Ångström accuracy and compare experimental data to hydrodynamic calculations from PDB files. Quantify conformational changes ΔDH in proteins by absolute numbers (diameter in nanometers) including monomers, dimers and multimers. Monitor the enzymatic activity of polymerases and nucleases to determine catalytic rate constants (KCAT) and enzymatic units (U). Evaluate melting curves of protein for thermal shift assays and the determination of melting points (TM). Extract thermodynamic energies (ΔG, ΔH, ΔS) from integrated van‘t Hoff and Eyring analyses of temperature dependent measurements. 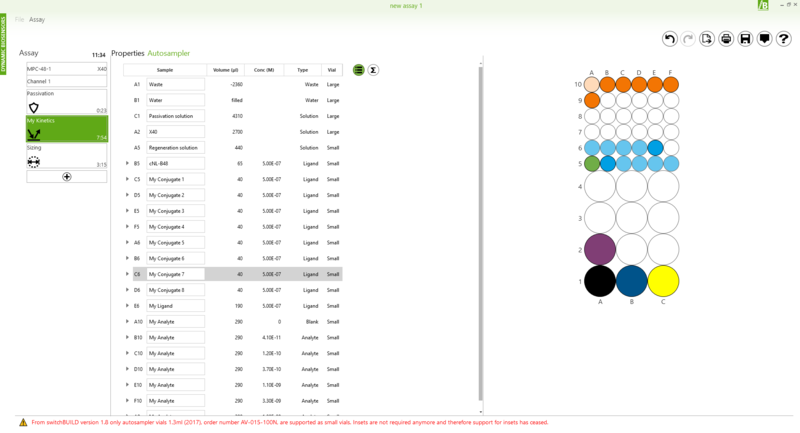 Simply add individual assay elements including “kinetics”, “titration”, “sizing” and “melting” into the measurement queue to create your bespoke workflow. 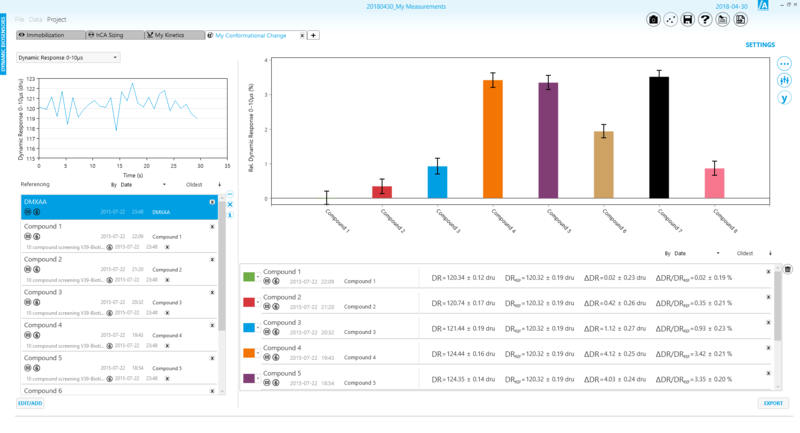 Receive an optimized placement overview for all samples and auxiliary liquids required to run your experiment. Print your overview to take it to the lab and prepare your samples. switchCONTROL software takes the simplicity of switchBUILD scripts and converts them into advanced commands for the unattended operation of the DRX instrument. 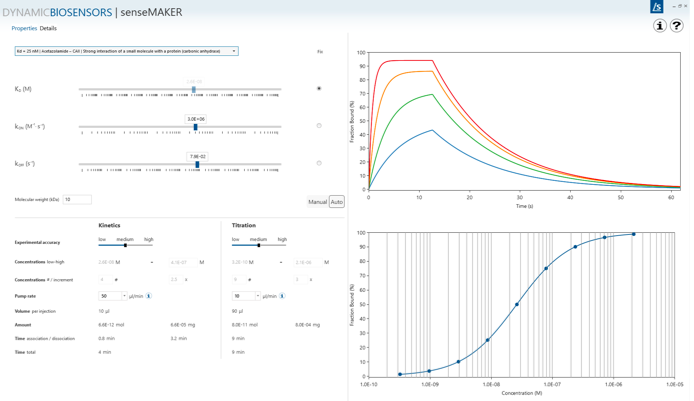 For planning your kinetic and titration experiments, you can use our free senseMAKER software. 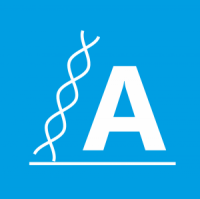 This software is very intuitive and supports you in defining the right parameters and conditions for your experiments, regardless of which instrument you are using.